If you would like to own the Android Gingerbread packing HTC Flyer tablet, but are a T-Mobile customer, the word you have been waiting for may have arrived; word that the HTC Flyer is heading for the T-Mobile network. According to the guys over at Phandroid, a tipster has told Tmonews that the 7-inch Android tablet may hit T-Mobile as of the 6th of July, and the Phandroid guys suggest the HTC Flyer on T-Mobile could be priced somewhere around 200 buck when signing up for a 2-year agreement. However with the Motorola Xoom and other tablets sporting Android 3.0 Honeycomb, the HTC Flyer may have a hill to climb with customers, but the tablet does come with a stylus supposedly for ease of use. Also there are numerous dual-core tablets hitting the mobile space while the HTC Flyer is single-core, and it appears the dual-core is what its all about there days so the Flyer doesn’t have a great deal going in its favour when put up against other tablets available. 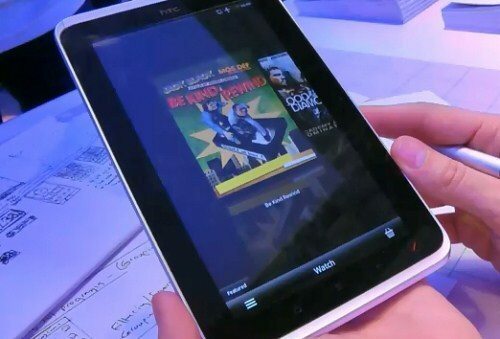 So does the news that T-Mobile will offer the Android HTC Tablet excite people or are you simply going to give it a miss? I played with one of these @ the HTC event in birmingham at the weekend – the stylus is oddly one of the highlights of the thing. I really don't understand the bits that I've read that see the inclusion of a stylus as a downside (it's not like you can't use it without) – so much added value when used in the notes app that they've created – worked really well. Was v.v.v impressed. The tweaked sense ui is great. It's light, solid, lovely display, loads of capacity – really a good all rounder. If this is priced right (i.e. £400 or less in the UK) then it could be a real contender – it's great!